The wait is over! 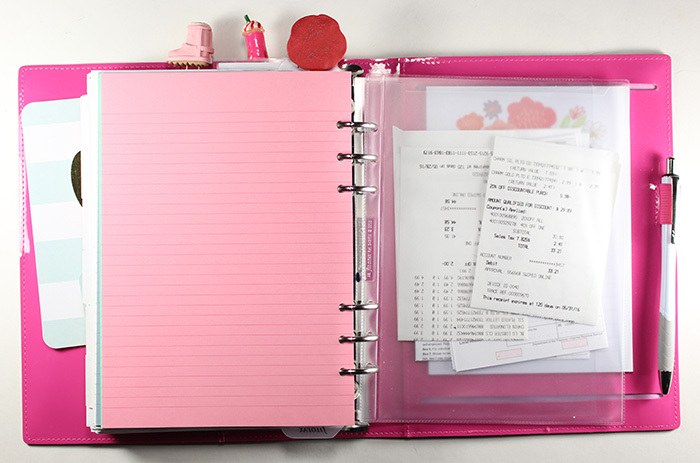 Today I'm going to show you inside my Patent Domino Filofax! 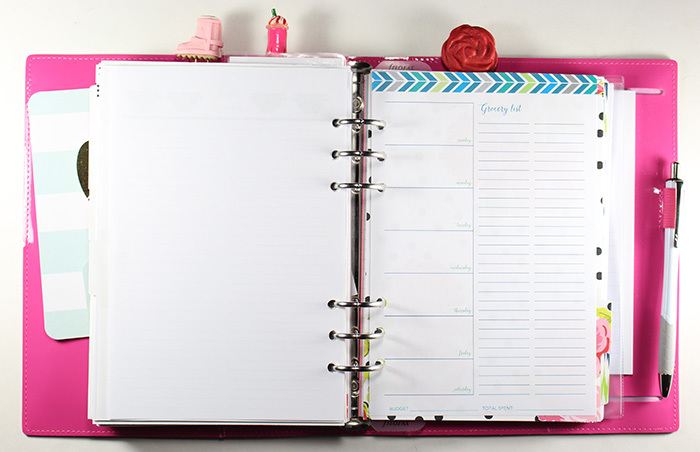 I used a spiral bound Limelife Planner for all of 2015 and the time came to close her covers for good. She is full. It's such a strange attachment we get to our planners isn't it? That beautiful spiral bound planner was by my side daily for a whole year. We saw good times and we saw bad times in 2015. All are documented. Of course I will keep her, she's a work of art! On a whim in December I purchased the Patent A5 Domino when Amazon had them for $14. I have never been overly obsessed with ring bound planners. The reason for that is there's too many options! Too many ways to customize it. That sends me into a serious stress of overwhelm. However, for $14 I couldn't pass it up. I wasn't sure at the time what I'd use the pretty pink Domino for. It was never my intention to make it my daily planner. 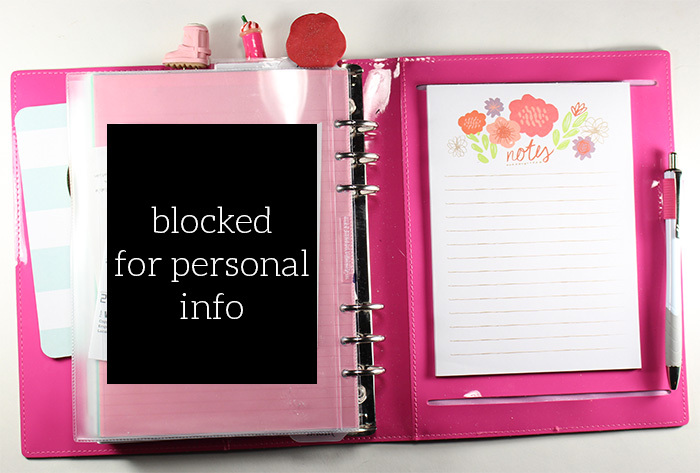 I thought about maybe using it for my Household Binder. 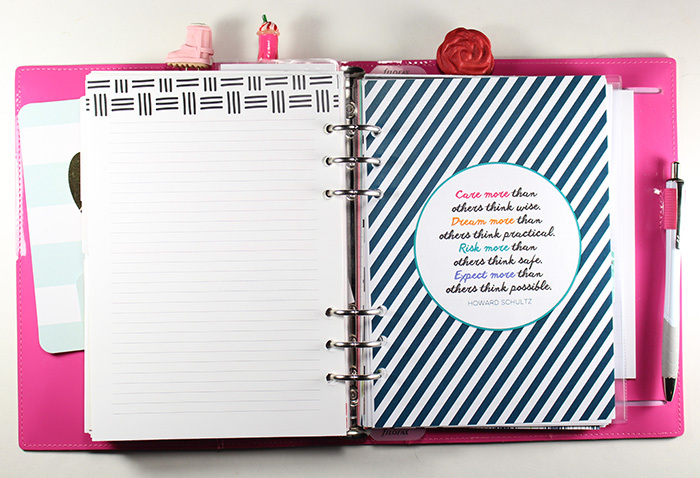 I thought about using it as a business planner, and using a spiral bound for everything else. That thought quickly passed because I like having EVERYTHING in one place. SO what do I do with this beautiful Filofax? As you know, I'm all about Limelife Planners. The owner is truly one of the sweetest people I've met in this planner journey. 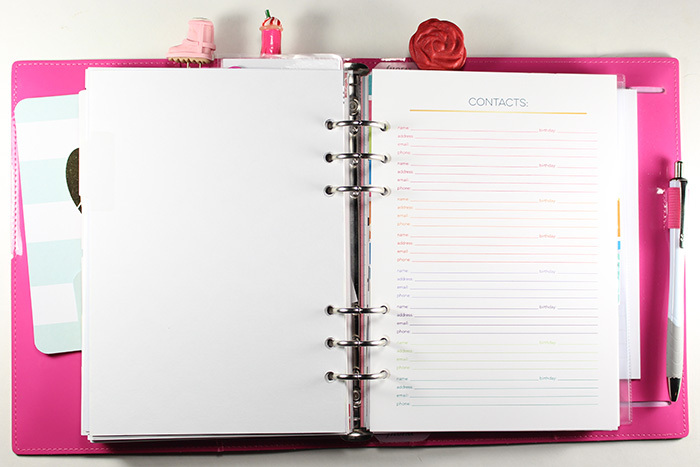 She makes high quality planners and works her fingers to the bone to make her customers happy. Limelife listens to their customers. When I was on their Creative & Media team, I harassed [yes... that word is accurate here haha!] them to come out with interchangeable covers. They did! I got to test several different options and now that is something they offer. And let me tell you... they've got beautiful covers. 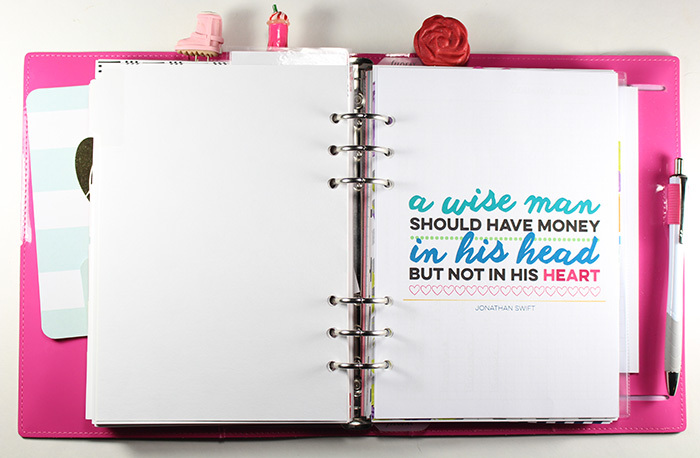 That is ONE thing I will miss about my spiral bound planner for sure. I knew I was not ready to part with my Limelife planner pages. Limelife offers 6 different layout options for their A5 inserts. I kept my vertical layout that was in my 2015 spiral bound planner. However, my A5 inserts have a Monday start and last year I had a Sunday start. I really don't have a preference on week day start. Though now I can use pretty "Weekend" banners if I want! When you open my Patent A5 Domino this is what you currently see. I have some cute project life cards attached with paper clips on the left. In the pocket I have a little notebook that I use to take notes when listening to podcasts. I like having my podcast notes in one place. On the right you will see a dashboard I made out of clear & pink polka dot acetate that I purchased at Michael's. I used my Dymo 450 printer to make a label that has my blog name and email address. I got this idea from Nikki Boyd from AtHomeWithNikki. She used a pretty white page behind hers that she printed her info on instead of a label. I might steal her idea even further and eventually go that route. Right now I just have a pretty floral scrapbook paper behind my clear acetate dashboard. After you flip through the acetate dashboard and scrapbook decorative page, you see the start of my Limelife A5 inserts. The inserts I have are Elizabeth Weekly A5. 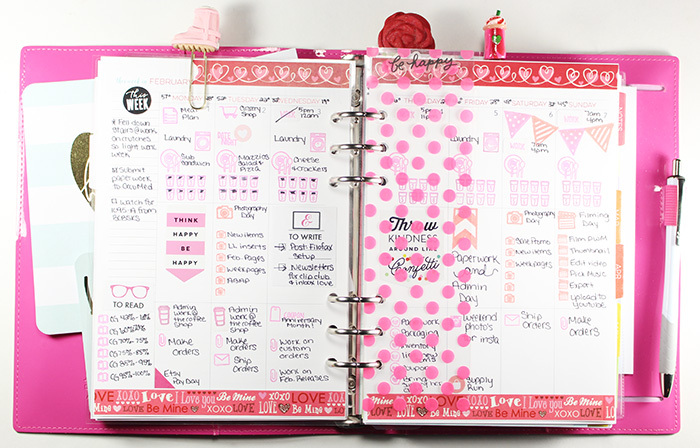 Limelife uses whatever pattern you choose throughout the entire year of pages. You will see the pattern on your monthly pages. I like the more basic pattern of Elizabeth. It's just black and white, so it will go well with any decorating I choose. Here's my first Month decorated pages in my new inserts. I'm not a huge decorative sticker user, but I do enjoy them on Monthly pages. I don't do an overwhelming amount of "planning" on my month pages. I always have my book club sticker reminder from Paper & Glam, a quick look at bills due, and any doctor appointments or events. 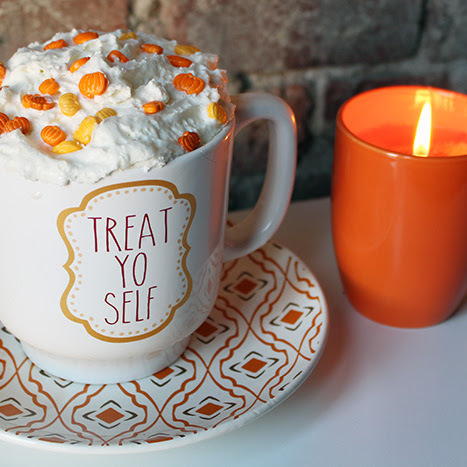 So there's plenty of room for using pretty decorative stickers. These are from the "Happy Valentine's Day" sticker book by Darice. I also laminated a project life card and punched it for added flair. This is my first weekly spread in my new inserts. I was pleasantly surprised that I didn't miss the extra room of the larger spiral bound planner. I think these A5 pages & boxes will be perfect. Here you will also see the page marker I made out of the same acetate as the dashboard. I use Sweet Stamp Shop stamps primarily. 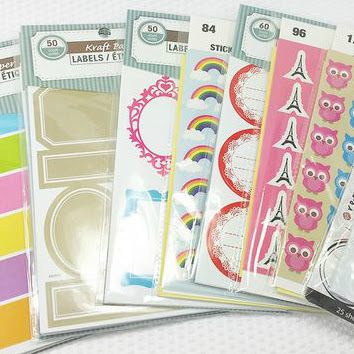 There's a few stickers here by MAMBI and Paper & Glam. The ink I used for my stamps is the hot pink from the ColorBox Paintbox and Pink Grapefruit from VersaMagic. 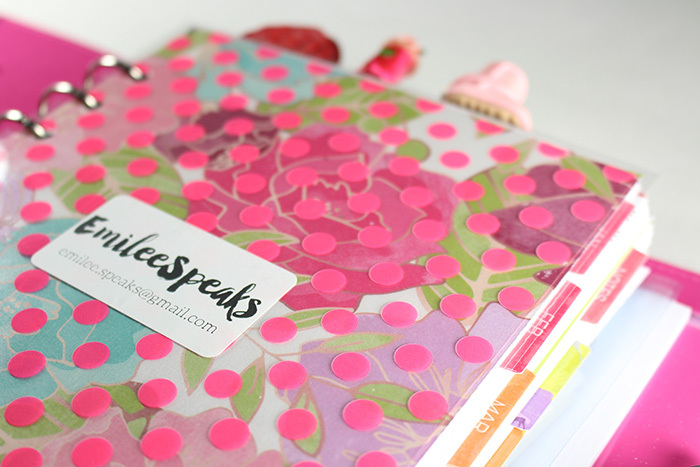 Leslie [the owner of Limelife Planners] also sent me a set of their Decorative A5 Planner Tabs. These are beautiful and I seriously apologize for not getting them in these shots, so use that link and go look at them. They're beautiful! [You can kind of see them in the second picture at the top]. 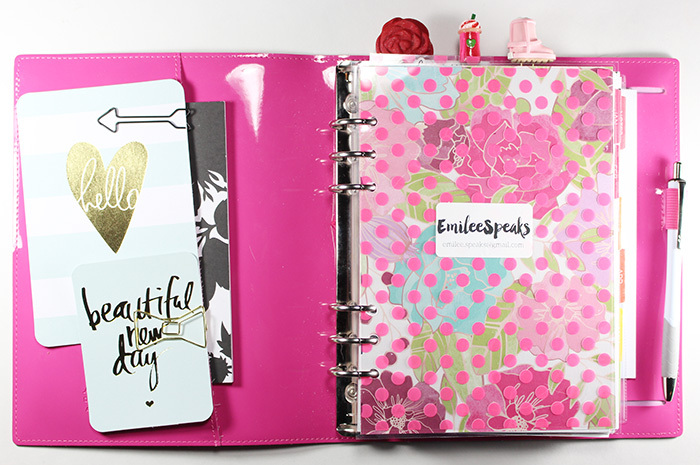 I used these 6 Planner Tab divider pages to keep my Limelife A5 Digital Downloads and Add-On insert pages. This one is the start of the A5 Budget pages. 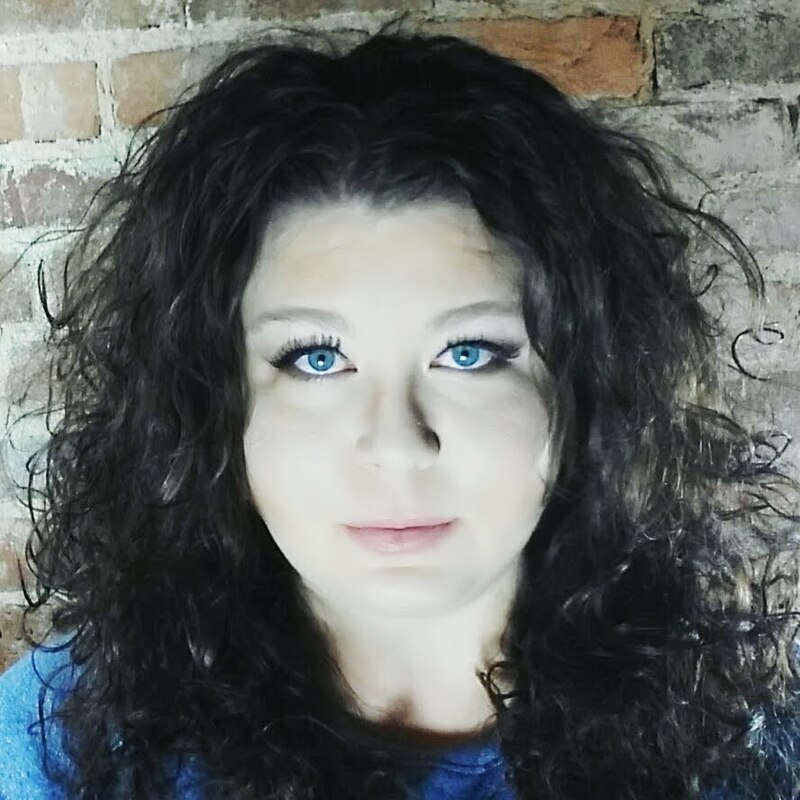 I'm not going to show my actual pages here because I have them filled out with personal info. You can view the pages here. The Digital Downloads are great because you purchase them once and then you have the file to print as many as you want for yourself. I used several of them last year and I'm excited to have them in the same space as my actual planner pages this year. 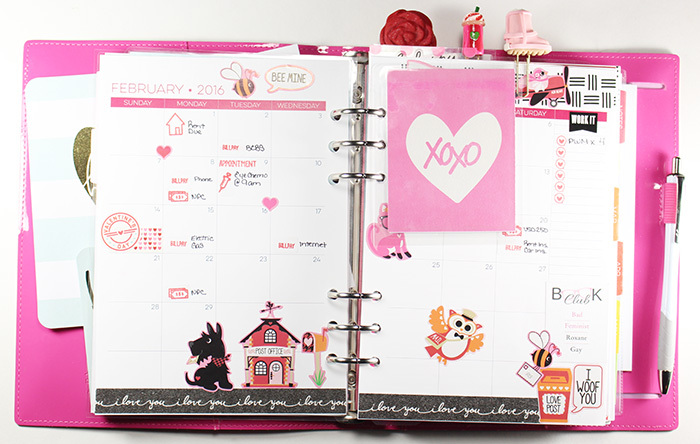 Yay ring bound planner! This section isn't a digital download, but it came with my A5 inserts. Beautiful contact pages. Not much needs be said about these except they're on the same smooth high quality paper as the planner pages. MAJOR improvement over the inserts from Filofax that came with my planner [yuck]. The next section is another Digital Download from Limelife. It's the Social Media tracker A5 digital download. I should tell you that the Digital Downloads come in both 7x9 [like the spiral bound planner] and A5 sizes. You can check out what all comes in the Social Media pages here. Next is the Meal Planning Add-On. 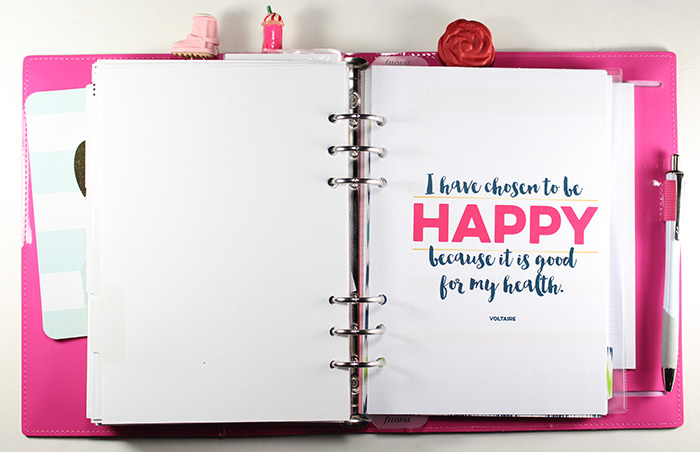 These pages are great and I highly recommend choosing them as an add on when you purchase your planner pages. These are physical pages that come to you printed on their high quality paper. You can check this add on here. This is the title page for the A5 Fitness Digital Download. I definitely won't be showing you THIS personal information, haha! These pages are going to be great for me because 2016 is going to be the year I get my sh*t together and get healthy. You can check out the fitness download here. The final digital download I have in my planner is the A5 Checklist Pages. These have been amazing for shopping lists. I can easily separate them by store. I also have used these pages for random to-do's for my Etsy shop. These are a steal at $3. 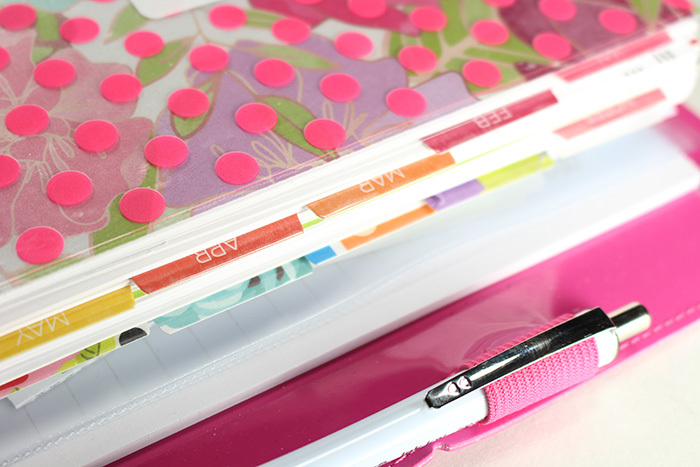 You need these pages in your Filofax. Grab them here. Behind the A5 Checklist pages I also have my random notes pages that came with the Filofax for scrap paper. 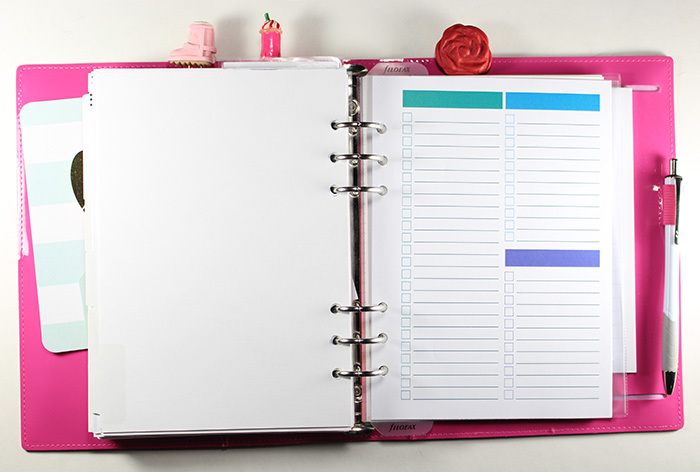 Oh goodness, I forgot to mention above that the A5 planner inserts you purchase from Limelife also include a "Notes" section with matching note paper. In the back I have the little pocket sleeve that came with my Filofax. I keep business receipts in them until I sit down to do my monthly paper work and file them away. I had to black out the opposite side of my receipt sleeve because it had other personal documents in there. In the very back I put in a notepad from the Target One Spot. I can honestly say I haven't used this notepad once, but there's a slot for one so I had to put one! There ya go! My full setup of my 2016 A5 Limelife Planners inserts in my Patent Domino Filofax! I tried to link all information and resources in the post. If I missed something, just ask me! I always reply! I'm very excited to see how this setup works for me this year. 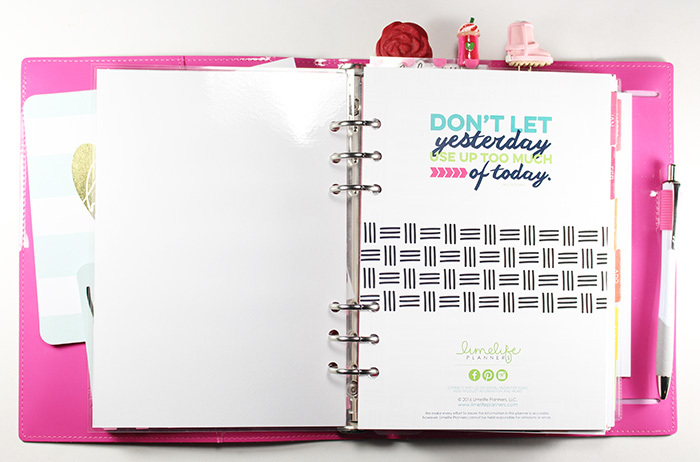 I was truly scared to try something new because I just loved my 2015 Spiral Limelife planner so much. But how I can be a planner girl without a Filofax?! That's just crazy! Look forward to a Plan With Me video on my YouTube channel very soon!